Archery is a fantastic fun activity, either working in one team to achieve your group goal or to compete against another team to win the day! If you're a newcomer or beginner to archery don't worry we will start with the basics and work up. Archery has developed and is a great sport for a wide range of ages and abilities, either socially for exercise or for competition. Adventure 21 took our Stag Group for Archery, Rifle Shooting and Gorge Walking / Scrambling / Canyoning yesterday and it was absolutley superb. 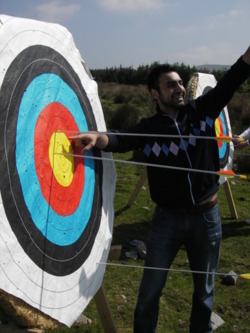 Everything was really professionally set-out from the layout of the archery / shooting field including equipment in top condition, safety zones for taking photos and a great variety of targets to shoot; to the variety of challenges experienced during the gorge walking, cannoning balling of some of the rocks to getting cold in some of the waterfalls. The instructors were excellent, relaxed in approach yet clearly focused on safety and demonstrating excellent experience and knowlege; they also had great banter. My experience with the more office side of Adventure 21 for booking and then communication and assistance leading up to the event was also flawless, Kety was always will to answer the many questions i had. The group were thrilled with the whole day. Many thanks. 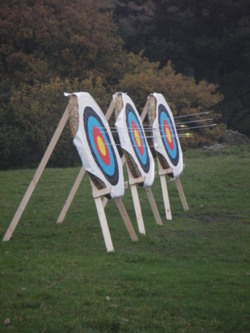 We have many archery venues in and around Lancashire for example in Chorley, Preston, Blackburn, Bolton, Chorley, Rivington, Anglezarke and Manchester and in Cumbria in particularly around the North Lake District, South Lake District, East Lake District and the West Lake District areas, for example Coniston, Ambleside, Windermere, Keswick, Hawkshead, Kendal, Bowness, Ullswater and Preston to name just a few. 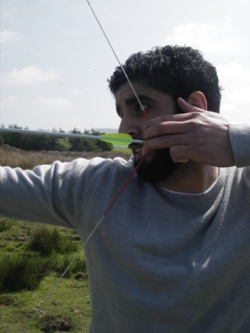 To view some of our archery pictures please click here archery images.